Perovskite solar cell research is continuing at a fantastic rate, with the March issue of academic journal Science reporting that a collaboration between UNIST (Ulsan National Institute of Science and Technology) and the Korean Research Institute of Chemical Technology (KRICT) was able to reach 21.2% efficiency with a hybrid organic/inorganic perovskite solar cell. 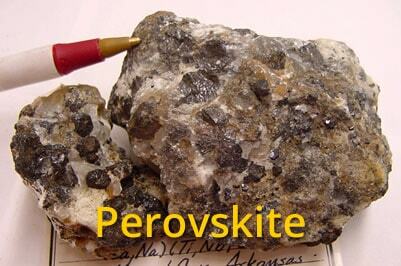 Perovskite (wiki), a raw material which can be used to harvest solar energy and can be combined with liquid solutions to allow broad application (i.e. the conventional rigid shape of the solar panel could be superseded by something like a ‘spray’ application of a perovskite-based solution), is paving the way for solar technology. Researchers at the ANU (Australian National University) have achieved 26.4% efficiency using a stacked configuration of silicon and perovskite solar cells. The Duong from ANU’s Research School of Engineering heralded the achievement as ‘…a step closer to a low-cost alternative (to silicon based cells)’. It’s important to note that this efficiency was created ANU’s cell size was 0.18cm² (a research size – far from commercially viable). UNSW achieved 12% efficiency for a ‘full size’ 16cm² solar cell last December. Solliance, a Dutch/German/Belgian R&D team, achieved 12.6% in R2R (roll to roll) perovskite solar cells in March. Although still a far way from the 26.3% efficiency achieved by the Kaneka Corporation using silicon solar panels, it’s important to note that due to the Shockley-Queisser limit silicon panels will never reach greater than 1/3 efficiency. Using perovskite to manufacture solar cells could potentially double this limit – with the added bonus of being inexpensive and using less energy to manufacture. The hybrid organic/inorganic perovskite solar cell discussed at the start of this article (iodine/lead/methyl-ammonium crystalline structure) boosts the efficiency of the panel so that it can carry 2/3 of the energy from light without losing so much to heat. The fact that this compound can also be applied through myriad techniques such as spraying, dipping, printing, and doctor-blading means that it has a much wider range of application. ‘Solar cells are no longer limited to rigid structures such as panels’, says Dr Anita Ho-baillie, head of Perovskite Solar Cell Research at the Australian Centre for Advanced Photovoltaics (ACAP) at UNSW. Perovskite’s potential in terms of solar cells was first discovered by Japanese researchers in 2006 and Dr Ho-Baillie says she thinks perovskite solar cell efficiency will be able to reach 24% by the end of the year. There’s still a long way to go for perovskite to surpass silicon as the material of choice for solar cells, but progress is steady and as soon as they break the ‘magical’ 30% barrier it’ll become the material of choice for solar panels, if not before. ← Kaneka Corporation create Solar Cell with record-breaking 26.3% efficiency.